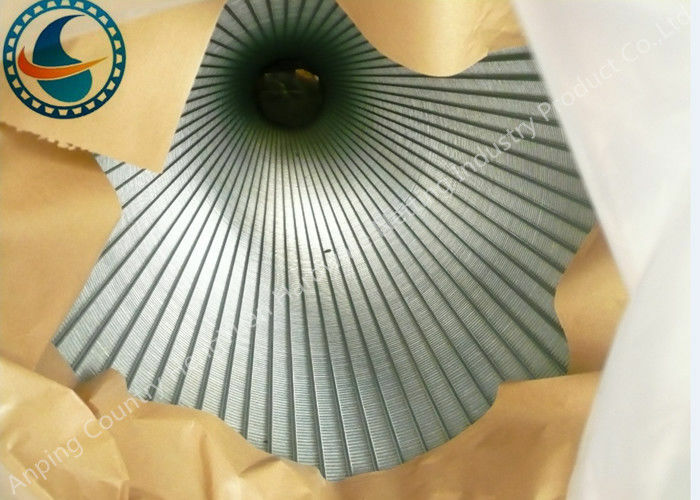 Johnson wedge wire screen is used in the field of sugar juice filtration, waste water treatment, crude oil and natural gas production and vessel internals solving problems of solid / liquid and solid / gas separation; filtration of oils, greases, paints, food products, fuels, liquid cooling agents, chemicals etc. Continuous slot: opening significantly increases the available open area, providing greater access to the water-bearing zone. Non-clogging: "V" shaped or wedge shaped profile wire, avoids clogging, is self-cleaning and ensures an uninterrupted flow. Sand grains make only two point contact and don't wedge in the screen's inwardly enlarging slot. Large open area: this allows more water to enter at much lesser frictional head loss and the efficiency of well is improved appreciably. Slot size 0.10, 0.15, 0.20, 0.25, 0.30... 6.00mm also achieved upon request. Length up to 6 meters. 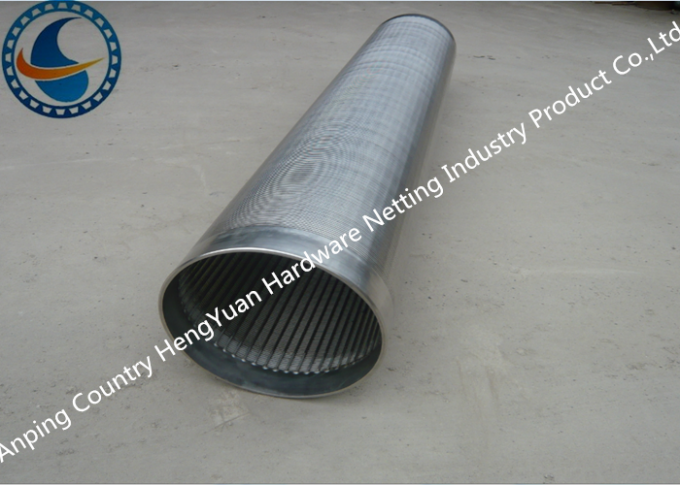 Our factory Hengyuan hardware netting industry product co.,ltd located in Anping country , Hebei Province ,China . Our mainly products are :stainless steel vee sharped wire /wrap wire,johnson screeen , water well screen/rod based wire wrapped screen,wedge wire screen pipe,reverse wedge wire screen , screen nozzle /water and gas strainer , sieve plate , slot mesh , ARC screen , header and hub laterals & hub radial laterals etc .